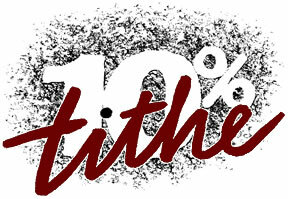 The tithe is ten percent (10%) of our income and belongs to God. Some people claim they cannot afford to tithe. This is a common problem and hinders scriptural giving. Many people spend unwisely and incur debt beyond what they can reasonably afford to pay. However, you cannot afford to not tithe. Financial giving to God and adhering to the biblical principles is the road back to financial recovery and well-being. Challenge yourself to honor God with your tithe.